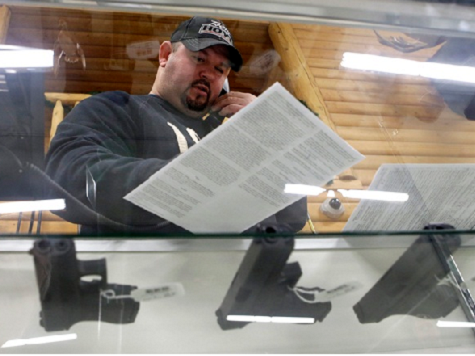 Applications for pistol permits in Newtown, Connecticut from January to May of 2013 were up 110 percent over the same time period of time from last year. While politicians were talking about using gun control legislation to make guns harder to get in the wake of the heinous crime at Sandy Hook Elementary, citizens were taking steps to get guns for self-defense. According to The Hartford Courant, Newtown citizens applied for 87 pistol permits during the time period of January to May 2012. That number rose to 183 during the same time period this year. Although pistol permits are on the increase throughout Connecticut, State Police reports indicate the statewide increase this year is about 78 percent. That’s well under the increase seen in Newtown alone. All pistol permit applications in Connecticut “must be approved by the local police chief.” So far, in Newtown, every permit application but three have been approved.